That last giveaway was a doozy! Thanks to an overwhelming number of entries, the Bonus Prize was brought into play and one lucky fan took home all three prizes in our Masters of the Universe giveaway. Next up is another fantastic prize! 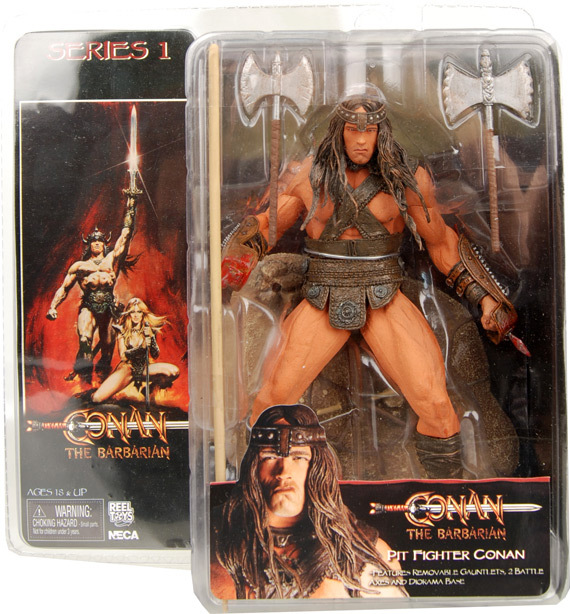 NECA has provided us with an extremely rare Conan the Barbarian action figure for one lucky fan to add to their collection. 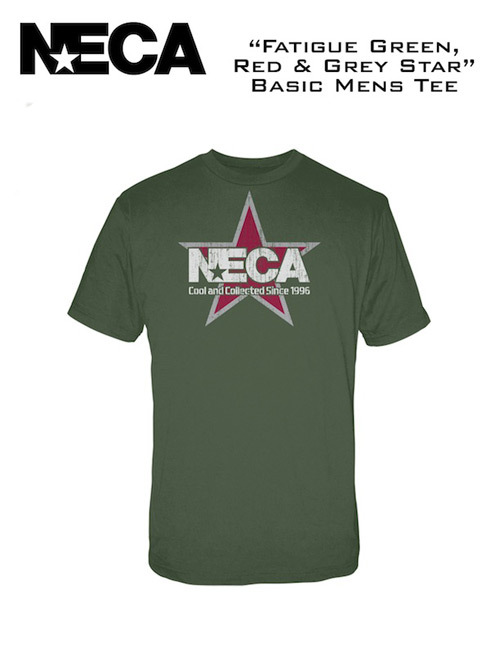 The winner will also receive a NECA T-shirt! The winner of this giveaway will receive this awesome prize along with a NECA T-Shirt. Thief. Warrior. Gladiator. King. He is… Conan the Barbarian! Each of these detailed figures is entirely accurate to specific scenes from the classic sword-and-sorcery movie. Sold into slavery as a child, Conan was forced to push a human-powered mill known as the Wheel of Pain. Upon reaching adulthood, he gained incredible strength and was trained to fight as a gladiator. 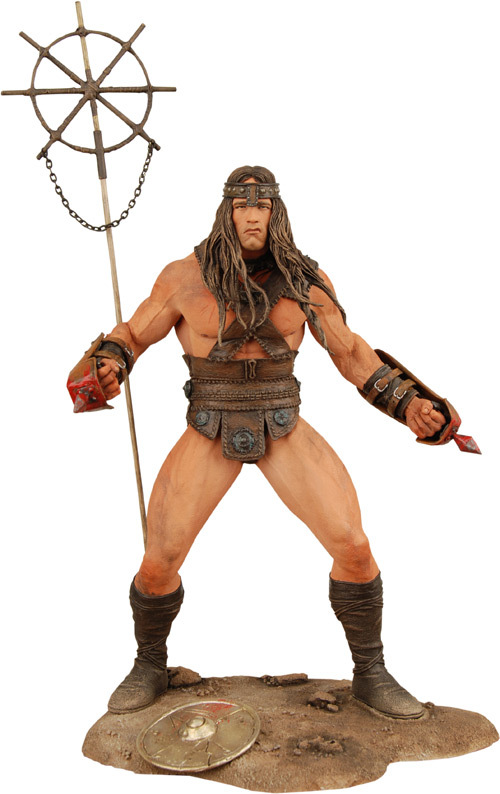 This fully articulated, 7″ scale figure shows Conan in the arena after one of the many victories that eventually convinced his owner to free him. It comes with removable gauntlets, two battle axes and a diorama base. Ages 18+. We know how much you would really like to win this prize… and all you need to do is answer the trivia question! You can gain more entries if you have Facebook and Twitter accounts. We really want to know what prizes you would like to see next. Send us your suggestions for future giveaways! 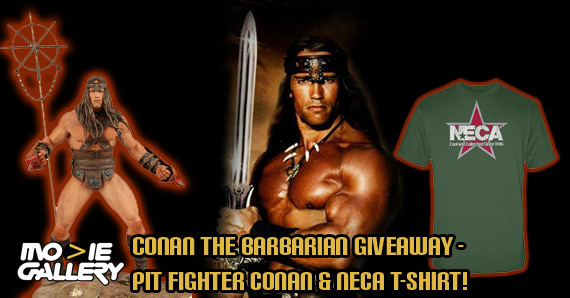 This entry was posted in Contests & Giveaways, The MG Blog and tagged conan action figure, conan the barbarian, conan the barbarian giveaway, neca by summerm. Bookmark the permalink.